People who are looking for careers with a criminal justice degree have plenty of options available to them, depending on their interests and other educational experiences. If you have graduated with a criminal justice degree, you have a world of opportunities available to you within protective service occupations. Not all local or state police forces require a degree in criminal justice, but individuals with a degree will often receive higher pay and faster promotions than their peers. Police officers spend their time patrolling the streets, responding to emergencies and issuing citations. They also have to spend a fair amount of time filing reports and documenting their actions. 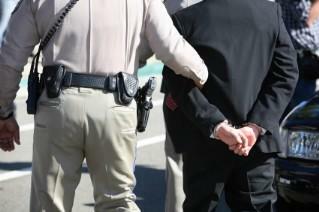 As a police officer, you may also be asked to testify in court if a criminal you apprehended has to go to trial. The FBI is involved in crimes like terrorism, cybercrime, organized crime, kidnapping, inter-state crime and crimes that violate federal law. The FBI wants well-educated, highly-trained individuals to join their special agent team. Not only must you have a four-year degree, but they only accept applicants who are at least 23 years old and have experience in the field. You may not immediately think of park rangers as law enforcement officers, but that's exactly what they are. They patrol parks, respond to emergencies and enforce rules within the boundaries of the park. In addition to general rule enforcement, park rangers have the opportunity to interact with guests, set up exhibits and even lead tours. Don't think of it as an easy job, though - particularly in state and national parks, park ranger details are often the first responders to major crimes, and they have to handle the situation until more help arrives. Security guards are also called security officers; guards work at different types of buildings, stores, homes, or other premises. Security guards monitor activity on the property and closely watch the people who enter and leave. Some positions require that the guard inspect people and sometimes use x-ray monitoring equipment to make sure that no contraband enters or leaves. Security guards may have to carry a gun. They may also have to contact emergency responders, direct people to safety, and assess the situation in the event of an emergency. Immigration agents interview people who are trying to enter the country and customs agents inspect any packages, cargo, or baggage that are sent to or that are leaving this country. These agents are also called ICE agents and are very active in homeland security. IRS special agents - also known as Criminal Investigator agents - conduct criminal investigations for the IRS. They investigate acts of fraud, violations of the tax code, money laundering, and track criminals by following the money. Because the world has become more computerized, these agents need good computer skills to go with their policing duties. Within the criminal justice umbrella of degree programs is often a specialization in crime scene investigation. If you're very detail oriented, you enjoy science and you are looking for an intellectual challenge, crime scene investigation might be the career field for you. Keep in mind that you may have to process crime scenes that are violent or gory, so you must be prepared to deal with the dark side of life. Crime scene investigators usually assess the crime scene, collect evidence, prepare reports and testify in court. Criminologists may have a degree in criminal justice, psychology or sociology, and may even have master's degrees or Ph.D.'s before receiving this distinction. Criminologists analyze patterns, statistics and behaviors of criminals to predict future behaviors and help prevent future crimes. Sometimes criminologists analyze police practices to determine what is working well and what needs improvement, while other times criminologists play a role in criminal profiling to help catch serial criminals. The life of a private investigator can vary day to day; in this job, PIs may investigate private matters for clients, conduct surveillance, perform background checks, look for missing persons, and protect others. A private investigator may stay in the office or may have to work out in the field; most have a combination of both types of tasks. White collar crime does not involve violence but it can be quite devastating all the same because of the damage to companies, investments, and families. White collar crime analysts can help investigate and track white collar criminals in association with various federal and state law enforcement agencies. Another name for this position is forensic psychophysiologist; the main role of this job is to administer polygraph tests - from the preparation to the analysis of the results. This position generally requires a 2- or 4-year degree; however, you can also training for this job by completing training. A penologist works directly with criminals within the prison system, helping to work with inmates and prepare them for a successful return to society. A penologist often helps design prisoner self-help programs and works as part of the jail management team to assist the inmates with their rehabilitation. You typically need a four-year degree in either criminal justice or psychology to become a penologist. Young people who get in trouble with the law need guidance to try to reform their lives into law-abiding ones. The responsibilities of these counselors include case management, supervision, and offering advice and direction. Youth counselors can also work with troubled youth outside of the court system as well. In this position, you supervise and advise people who have previously committed a crime once they have been assigned to probation. There is paperwork involved and there may be some travel in order to meet with your charges. A bachelor's degree is usually required for this job but that varies depending on the state. Bailiffs keep order in the court but they also have to maintain a significant amount of paperwork as well. This paperwork may include evictions and civil lawsuits and organizing the case schedule of the court. They also perform x-ray screening of people entering the courtroom. If you want to be a bailiff, a degree in criminal justice may be helpful but is not always required. Many paralegals complete specific training and get an associates or 4-year degree. It is possible to become a paralegal after completing a criminal justice degree; in these instances, you may have to take some courses or get trained on the job. A paralegal's responsibilities include attorney support, research, and creating documents. This position requires a significant amount of administrative work like maintaining correspondence, creating meeting agendas, or court dockets. A clerk may also issue licenses and collect various fees. A criminal justice degree can be helpful in getting one of these jobs but is not necessary; on-the-job training may be equally useful. A degree may give you a higher salary or a promotion. Because most criminal justice degrees are considered liberal arts degrees, students graduate with a well-rounded education. Often, a double major or minor in sociology, psychology, business, or political science can help open doors into related job opportunities. Internships and job experiences during college in related careers can also help open doors onto another career path. A Bachelor's degree in criminal justice can also lead to law school and a future career as a lawyer. Deciding which career field to enter into is a very personal decision. Research can help, but talking to other people with a criminal justice degree or people who have one of the jobs that you might be interested in can help you make your choice. A criminal justice degree can open up a lot of options in your future.